The numbers of people affected directly by the conflict in Syria is overwhelming: according to the Syrian Observatory for Human Rights (SOHR), more than 465,000 people are either dead or missing as a result of the 6-year conflict. But how many of those individuals – from all sides – have their stories recorded? Rights activist Bassam al-Ahmad is trying to ensure that happens, even though he was at one time in serious danger of becoming part of the deadly statistics himself, when his work chronicling the ravages of the civil war earned him a stint in one of Syria’s notorious prisons. Al-Ahmad, luckily, lived to tell the tale. The Syrian activist recently sat down for a chat with Justice Hub’s Janet Anderson on the sidelines of a conference in The Hague on the future of Syria organised by The Hague Peace Projects. This interview is a write-up of their conversation and is published here as part of Justice Hub’s #MyJustice series. Justice Hub: Can you describe what your organisation, Syrians for Truth and Justice (STJ), does? Well, Syrians for Truth and Justice (STJ) has different missions. One of the missions is data verification. We are trying to do data verification in relation to human rights violations inside Syria. The aim of the data verification is to fight rumours and fake news but in the context of human rights. We are doing data verification for incidents relating to human rights violations. The other work we’re doing is related to stories and testimonies. We believe there is no one single truth about Syria. We are trying to tell the story of Syria through the testimonies of people from different groups and different sides of Syria about the nature and kind of violations they face. Justice Hub: How did you start to get involved in this? Because I’m Kurdish, I was a member of the minority in Syria. Sometimes, when you don’t have rights, you start by trying to get some rights. I started in 2004 as a human rights activist in Syria. In the beginning, I focussed on the issue of the Kurdish minority. But when I moved to Damascus to study Arabic literature I started dealing with the issue of rights for all Syrians. After the uprising came in 2011, I was ready to be more involved in dealing with what was going on in Syria. Justice Hub: What happened to you during the uprising? In the beginning, like many activists, I tried to at least join some demonstrations. Then I joined a small project called Violations Documentation Centre (VDC) in January 2012. Then on 16th February 2012, government agents came and arrested the whole team. I was very lucky because they released me after 87 days while others remained behind bars for between 1 and 3 years. After they released me I left for Turkey and kept doing my work. Justice Hub: Were you tortured? Yes, sure. 99% of the people I met were tortured. For me, it was a good experience because of the work I do. The only bad thing about it was I didn’t know when I was going to be released. After I was released, I discovered that I had gone through a great experience because I got a practical lesson on what being tortured involved. Justice Hub: When you look for justice for Syria, what is the biggest issue as far as you’re concerned? I think one of the biggest issues relates to the number of violations in Syria. Now we’re in June 2017 and we’re talking about tens of thousands of violations in Syria. Maybe hundreds of thousands even. In 2011, it was easier to do transitional justice work but then it became more and more difficult as the years went by. Then ISIS, Al-Nusra Front (aka al-Qaeda in Syria) and other [terrorist] groups came in and made the situation even more difficult. I think the complexity of the Syrian conflict is one of the biggest issues. Justice Hub: What would justice look like if you could imagine some kind of justice for Syria? 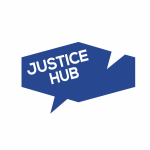 Justice Hub is an online platform connecting conversations about international justice.